DFW Restaurant Week is the most wonderful week of the year in Dallas if you're a foodie. Many restaurants offer a preview weekend ahead of Restaurant Week. The idea is simple: Dine out at your favorite restaurant or try a new one, and enjoy delicious three-course prix fixe dinners for $39 or $49 and two-course lunches for $20. Many of the participating restaurants offer wine pairings and themed cocktails to complement their DFW menus. Make your selections from more than 125 North Texas restaurants that participate in DFW Restaurant Week while you give back to the North Texas Food Bank in Dallas and Lena Pope in Fort Worth. With 20 percent of the price of every meal purchased going to help local families in need, supporters have the opportunity to help the community and enjoy the best food DFW has to offer while doing it. Make a reservation as spaces fill up quickly at many restaurants. Book online or contact the restaurant of your choice directly. Make sure to specify that the reservation is for DFW Restaurant Week when you book. DFW's Restaurant Week will celebrate 20 years in 2017. Presented by Central Market, formerly KRLD Restaurant Week, DFW Restaurant Week was founded by NewsRadio 1080 KRLD back in August 1997. Since its creation, the event continues to raise millions for the supported charity partners, North Texas Food Bank and Lena Pope Home. 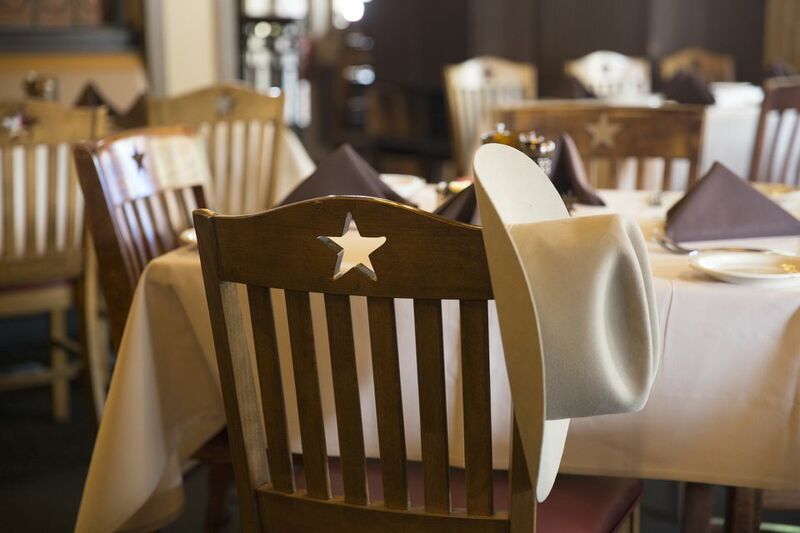 Lonesome Dove Western Bistro, Fort Worth: Texas cuisines such as rabbit-rattlesnake sausage, wild boar ribs, and Rocky Mountain elk loin. Pappas Bros. Steakhouse, Dallas: Restaurant Week options include dry-aged New York strip, Maine lobster, and a filet served with jumbo shrimp. Five Sixty by Wolfgang Puck, Dallas: Pan-Asian cuisine served in the rotating dining room atop Reunion Tower with great views. Canary by Gorji, Dallas: Mediterranean cuisine with house specialties like scallops over gazpacho and lamb with tabbouleh. Proof & Pantry, Dallas: American fare includes pork chop Milanese and handmade pasta. Nick & Sam's, Dallas: Steak, grilled salmon, and roast chicken, along with desserts like New York-style cheesecake. The North Texas Food Bank (NTFB) is a top-ranked nonprofit relief organization. Leading the fight against hunger in our community, we distribute donated, purchased, and prepared foods through a network of more than 1,000 programs and more than 200 Partner Agencies across 13 counties. Since 1982, NTFB has distributed more than half a billion pounds of food. NTFB supports the nutritional needs of North Texans through research, education, advocacy and strategic partnerships. In the fiscal year 2014, NTFB provided access to 62 million nutritious meals. NTFB is a member of Feeding America, a national hunger relief organization.